It seems to me a great thing, but a chip itself won’t make the IoT a reality, just like one swallow doesn’t make a summer. The greatest impediment here is still a lack of support for more people to start playing around this chip and learn how to use it. In other words, not just an Arduino-like approach, but literally a twine-like approach. Of course, fridges manufacturers now have yet another weapon to significantly augment the user experience of food storage. Obviously consumer electronics, automotive and other industries do have the budget/time/expertise to embed the flycatcher intro their products, but there are reasons it didn’t happen yet, and I doubt it’s purely financial. I do believe this is not the right way to drive innovation as it doesn’t consider consumer as potential innovators. Most printers & routers today have a micro controller and wireless connectivity, and could easily offer a programmable interface (so that we’re not stuck with the awful Web-based user interfaces those devices have), but somehow they just don’t. And I do believe this is where it all will start: just like most Web-based services today do have a (ideally RESTful) API, our consumer electronics should also offer an API (obviously in addition – not replacement – to the ready-made Web-based UX). This way, the user experience to “average” users of these devices remains identical, but coders and hackers that might (and most often do) have better ideas on how to digitally augment consumer electronics will be able to create custom apps by leveraging, well the Web to create new, disruptive, intriguing use cases for your printer (or fridge, or car) the manufacturer didn’t think of. This in turn could lead to an app store for “any” of your electronic products, where you could download and install new apps for your fridge, car, or printer (e.g. “the new york times app that will print every morning at 6am a fresh 1-page of your personalized news stories that you can read on your short ride to work” anyone?). As a final thought, it’s not a super powerful low-power CPU that is literally going to change the market landscape, but what one does with these chips. This is because we’re not limited by technology itself, but what we do with it. And more importantly: what we allow consumers to do with the products they buy. What do you think we need for making the internet of things a reality? More importantly, how can we best send the message to manufacturers: “hey, put an API on that machine, coz we need one”? 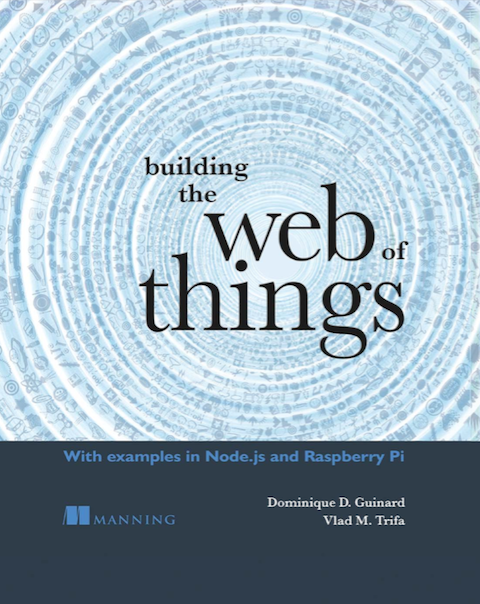 Next story Stop Reading this Blog, Start Implementing the Web of Things!